LOS ANGELES -- Lance Stephenson stepped on Jeff Green's foot and then stepped back, releasing a perfect 20-foot jumper while the Washington defender stumbled and nearly fell. Staples Center roared and the Los Angeles Lakers' bench lost its collective mind, leaping and sprinting in all directions to celebrate one incredible crossover. After every disappointment in this lost season, the Lakers and their fans are grateful for any bit of fun -- and for every win they can get. LeBron James had 23 points, 14 assists and seven rebounds, and the Lakers beat the Wizards 124-106 on Tuesday night for their first back-to-back victories since mid-January. "It's been difficult knowing that mathematically we're not going to be in the postseason," James said. "That's like March Madness for college kids for me. But when I suit up, it's all business. I never change my approach, and I try to go out and make every play." "We know if we were healthy, what we would have been," Caldwell-Pope said. "Unfortunately, injuries got the best of us. But we're still going out and having fun." "We've got to get some of these wins, even if they don't mean anything," Beal said. "We don't like the way we played tonight," Washington coach Scott Brooks said. "We put our heads down when the shots didn't fall, and when you also don't get back on defense, that's a bad combination." Lakers: Bullock missed his second straight game with right plantar fasciitis. ... Coach Luke Walton will wait to see how James feels in the morning before deciding whether he'll play at Utah on Wednesday night. The Lakers are managing the 34-year-old superstar's minutes. ... James airballed a free throw in the first quarter. He entered the game hitting a career-worst 66.9 percent of his free throws. Green looked foolish at first glance on Stephenson's epic crossover move. Replays showed Stephenson had to step on Green's foot to make it happen, but that didn't dampen the fun. "It was just a little tap, man," Stephenson laughed. "I ain't going to bail him out on that." Green took it all in stride. "I can confirm that he did step on my foot, but run with it," Green said with a smile. "I don't care. He crossed me, if that makes everybody happy." James, Green's former teammate in Cleveland, wasn't surprised by his reaction. "If there was one guy that could care less about that happening to him, it would be Jeff," James said. "He's like, `OK, take the ball out." James fell three rebounds short of his second consecutive triple-double. He is fourth in the NBA with eight triple-doubles this season even though he has only played 54 games. Beal expects the Wizards to consider limiting his minutes going forward, but he wants to keep playing. He leads the NBA in minutes per game, and is on track to play in every game for the second straight season after injuries repeatedly set him back earlier in his career. "That (was) a knock on me, that I can't stay healthy and I can't play a full season," he said. "And I feel like the last three years, I've been able to do that. Why not keep it going?" Wizards: At the Phoenix Suns on Wednesday night. 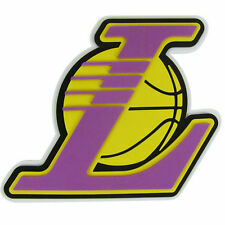 Lakers: At the Utah Jazz on Wednesday night.